There will be no increase to the third-level grant received by students in the Budget despite spiralling rents, the Irish Independent understands. Increasing the Susi grant has not featured in any of the budgetary discussions that have taken place up to now. Well-placed Government sources said while “everything is on the table”, they don’t anticipate that the payment will be boosted. “The logic of increasing the grant as a response to the accommodation crisis doesn’t stack up. Landlords would just put up the rent further,” said the source. Students are now being expected to fork out up to €1,107 a month for a two-bed house near their college as rents continue to surge. More than 50,000 young people received college offers yesterday, sparking an instant search for accommodation in the main urban centres. But many are set to find themselves priced out of the market and facing long commutes. A breakdown of figures released by Daft.ie shows the huge prices in private rentals facing many third-level students throughout the country. Assuming that bedrooms are not shared, a first-year student at Letterkenny Institute of Technology, Donegal, will pay as little as €198 a month in a three-bed house and €254 for a two-bed. However, a student in UCD will be expected to pay as much as €840 per month to live in a private three-bed house and €1,107 in a two-bed accommodation close to college. Two-bedroom houses near universities in Cork, Galway, Limerick and Maynooth range between €455 and €533. Tens of thousands of students do receive help with their college expenses through the Susi grant system. Last year, Susi processed more than 103,000 applications with in excess of 81,000 students (new and renewal) awarded a grant for the 2017/2018 academic year. The full grant is €3,025 for a student who is normally resident 45km or more from the college they attend. Anybody living closer gets an “adjacent rate” of €1,215. Applicants are subjected to a means-test with lower “part maintenance” grants being paid out to some. The grant was cut during the austerity years, but has remained static since 2012. 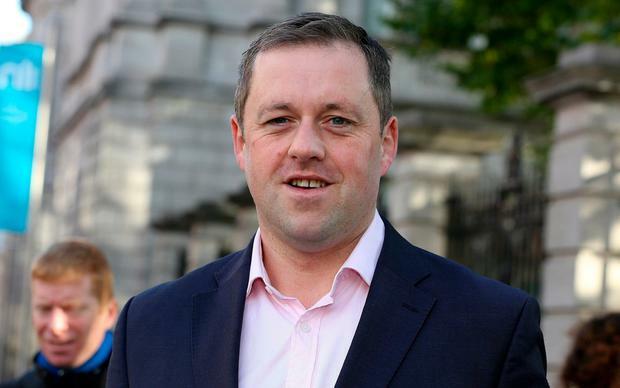 Fianna Fáil’s education spokesman Thomas Byrne told the Irish Independent his party will review the grant payment ahead of the Budget negotiations with Fine Gael. However, he said there may be more practical ways of helping students secure accommodation than increasing the grant. He said student accommodation will be a central issue in the pre-Budget talks under the confidence and supply arrangement. “We certainly want to see something done in relation to student accommodation, whether that’s the grant or reducing costs. “All of that is under consideration at the moment,” Mr Byrne said. One proposal he wants debated is the idea of allowing institutes of technology (ITs) to borrow money to fund the construction of student apartments. “It’s pretty standard around the world for colleges to provide accommodation,” he said, adding that allowing ITs to borrow money in their own name would benefit areas such as Tallaght, Cork and Galway. However, Government sources raised immediate concerns with this proposal due to the financial situation already facing some ITs. First-year students are generally advised not to enter the private rented market. The seven universities and some other colleges offer on-campus accommodation but these tend to be in extremely high demand. In recent years, there has been a return in popularity of “digs”, where students live with a family, either with meals included, or on a self-catering basis. Other students are commuting long distances each day in order to live with their parents while attending college.